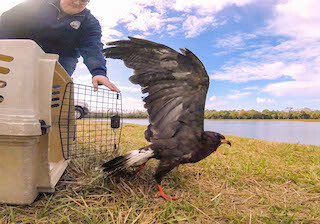 A male snail kite, an endangered species both federally and locally in the state of Florida, was treated at CROW after a suspected vehicle strike. Below are news stories about the kite's treatment and release. Click here for more information about his injuries.